2.5 billion people do not have access to adequate sanitation or even a tap. According to the United Nation Statistics, 783 million people do not have access to clean drinking water. The truth is, millions of people share taps with hundreds of other people often these taps are the source of contamination, responsible for stomach cramps, diarrhoea, vomiting and even death.Did you know that diarrhoea alone is responsible for the deaths of over 2,000 children globally every day. That is more that AIDs, malaria, and measles combined! And yet, something as simple as hand washing could reduce these fatalities by half. In contrast, the chances are that readers of this communication have a plentiful supply of clean drinking water available through multiple taps and are at significantly less risk of infection, disease and death. For everyone to own their own personal tap for life. Access to water and personal hygiene for everyone no matter what the situation. Every SpaTap will deliver reliability, longevity and comfort for a million washes. So that everybody on the planet has the equal right to enjoy what we take for granted to a clean tap so that we can together reduce the number of deaths caused by contaminated water.Can you imagine the world where we have an abundance of fresh clean water and access to it for washing, drinking, cooking, first aid, religious practices? Can you imagine if we could change the lives of just one person so that they can wash their hands every day and have a clean and healthier future? You need to help me achieve my plan, I want to make sure that everyone on planet earth that needs a tap has access to one, I need you to help me save the lives of the 8 million people that die annually from the consequences of disasters and water-related diseases. I know how we can solve this problem. 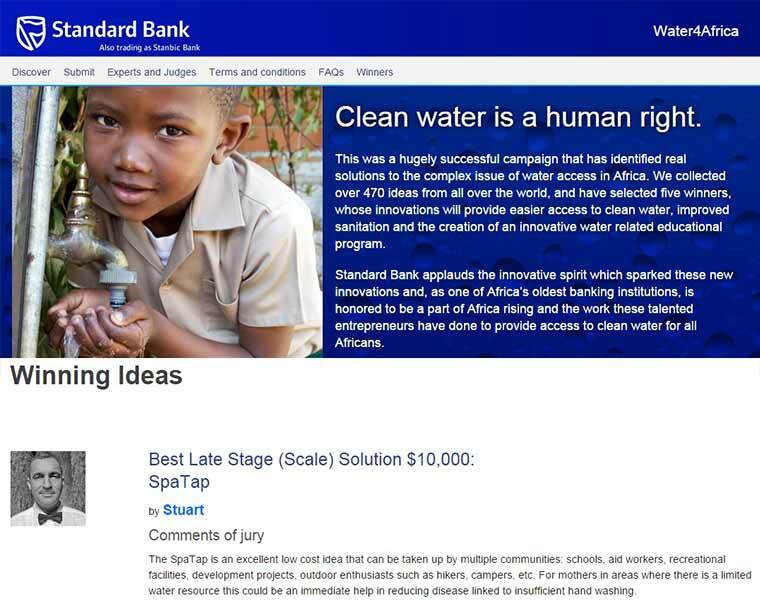 So if this is something you want to be part of, a massive change in how the world uses water, then this is something that I can make happen with your help. SpaTap is fully responsive and can adapt to any situation, it’s incredibly fast to install and creates an immediate washing station. Water saving handwashes are possible with only 20ml of water. 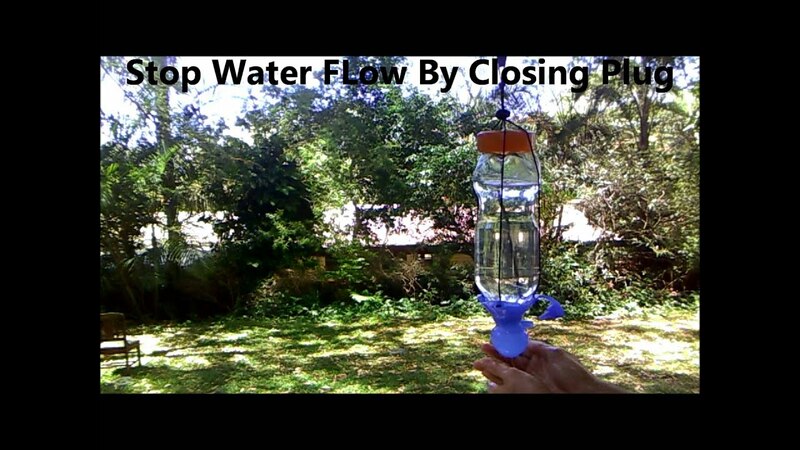 A self-stop mechanism means water is never wasted, also excellent for oral hygiene. When everybody has their own personal tap, cross contamination is reduced, water is preserved, plastic & glass litter is reduced, this promotes a healthy community. Less time carrying water, more time learning. SpaTap has an immediate and sustained positive effect on any community it comes to, including economic benefits created by local strap making. SpaTap includes the amazing ability to attach to a multitude of bottles and containers, a 3litre bottle providing up to 150 hand washes . A 15-litre bottle produces a 2 hour 36minute shower or over 1000 handwashes. Hang SpaTap anywhere to encourage handwashing. Beating 470 other entrants from around the world, has been thoroughly tested in the retail market and is now ready for mass scale deployment. 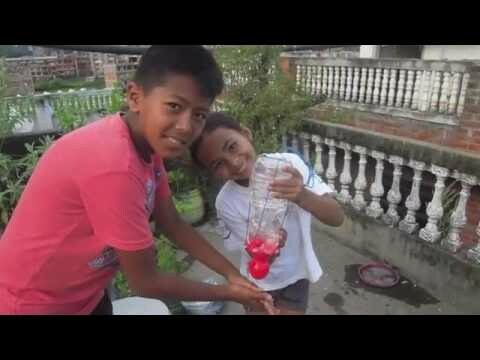 SpaTap is different and better than what exists because it is low cost and can provide everyone with their own tap for life. This immediately reduces cross contamination and promotes personal ownership. SpaTap makes washing fun and accessible to adults and children alike. The incredible water saving component of SpaTap means that water can be used as efficiently as possible making an economic impact on relief efforts and the labour associated with distribution of water in humanitarian scenarios. SpaTap solves instant access to water, prevention of water wastage, dispensing of water at different flow rates depending on needs and personal ownership. It provides measurable, effective water dispensing. It can be hung anywhere or handheld, it is a low cost and easy to distribute. It can be instantly installed outside latrines, in the kitchen, on a tent pole, in a hut, in a vehicle, in a hospital, anywhere. SpaTap is an eco-friendly, water-saving, portable tap and shower system that fits in your pocket. Made from UV stable food and water grade silicone, it instantly attaches to any bottle made from virtually any material for example glass, plastic or metal. Once attached via its unique force fit mechanism, SpaTap creates a flow controllable tap or shower that can dispense water in three different ways depending on the users’ needs. The three modes allow the user to decide what amount of water they wish to use. This is critical in areas where water is scarce. For example by gently squeezing the SpaTap, just enough water is released to enable a hand wash then the flow stops. By opening the air inlet valve a free flow of water becomes available; this is useful for showering or cleaning food. If more water is required, squeezing the SpaTap with the bung out provides enough water to fill a cup in one go, it has been likened to milking a cow. Replace the bung to stop the flow. A Gentle Squeeze allows the tiniest amount of water through. 15ml – 20ml is enough water to rinse the hands, perfect for a quick handwash. 2 or 3 pumps is enough for a satisfactory handwash. For a Free Flow of water, unplug the bung and allow air into the device. The bottle will run like a tap with a constant flow. A 2-litre bottle will dispense for 20 minutes. Perfect for a shower ! Squeeze the SpaTap with the bung out for more water, Say to fill a glass or hydrate a wound or to quickly wash some food. Instantly hung anywhere, in the kitchen, outside the toilet or easily handheld when cleaning a child. It’s so simple to use, children intuitively know and love using it. The SpaTap has been noted to instantly change children’s behaviour with handwashing as SpaTap makes handwashing fun and children want to do it. SpaTap + any bottle = instant washing and hygiene station, perfect for handwashing. It can be hung anywhere, for example in the kitchen, outside the toilet or easily handheld when cleaning a child. It’s so simple to use, children intuitively know and love using it. The SpaTap has been noted to instantly change children’s behaviour with handwashing as SpaTap makes handwashing fun and children want to do it. 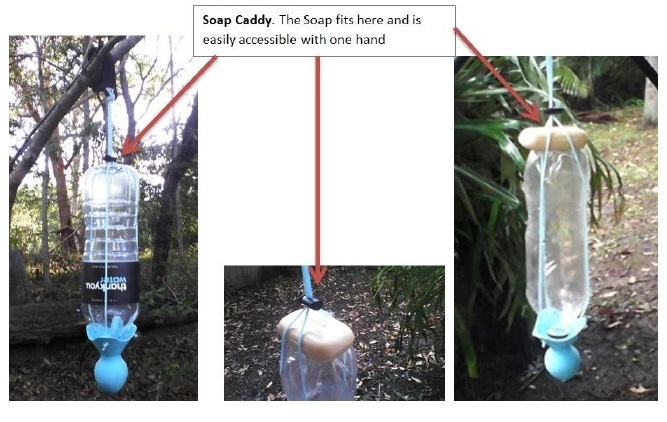 SpaTap has an inbuilt “Soap Caddy,” easy to reach and perfect for 1 hand operation ! SpaTap requires no power source. 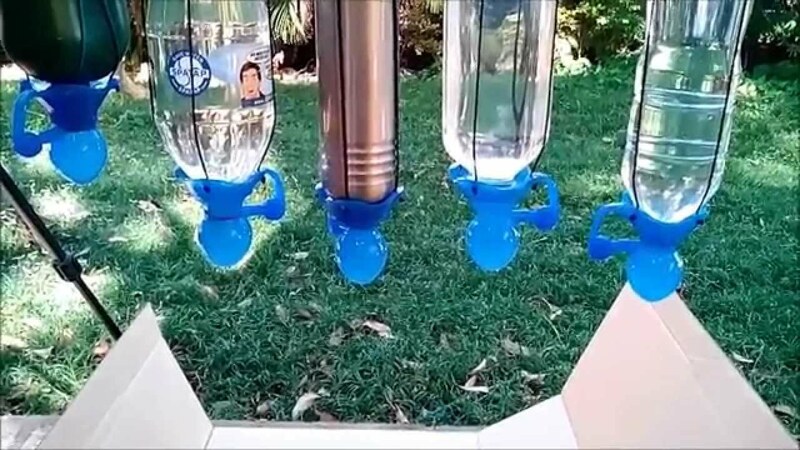 This simple device utilises gravity and good design to provide continually efficient water spray with only a modest quantity of water as a source. Additionally, the inverted bottle, hanging via its adjustable strap, becomes a “soap caddy”, due to the flatness of the bottle’s base. This permits a convenient place to store soap bars, maintaining dryness and improved sanitation. The soap is secured by the hang strap cord. Toothbrushes and paste can also be stored creating an instant, personal hygiene station. The inverted bottle, hanging via its adjustable strap, becomes a “soap caddy”, due to the flatness of the bottle’s base. This permits a convenient place to store soap bars, maintaining dryness and improved sanitation. The soap is secured by the hang strap cord. Toothbrushes and paste can also be stored creating an instant, personal hygiene station. SpaTap requires no power source, this simple device utilises gravity and good design to provide continually efficient water spray with only a modest quantity of water as a source. SpaTap will deliver longevity, reliability and unparalleled versatility of service. Made from high-grade silicone with properties including: UV Stability, water potable and food grade, long life, flexible, durable, molecular memory, lightweight, anti-microbial, unbreakable. SpaTap is designed with eco-efficiency, energy efficiency, and eco-design concepts built into the product. It requires no external power source or pumps to operate, it utilises gravity. SpaTap’s egg shape tap head creates a pressure flow which provides the widest water spray circumference possible. It is easy to distribute, intuitive to use, fits over 99% of bottles and weighs only 70 grams including the hang strap. The hang strap can be neatly tucked away inside the SpaTap device and made locally with local handicrafts to promote ownership. Dispensing of water for the needs of a family in an emergency is now possible. The average Australian home has 10 faucets, taps or water dispensing points (showers/baths) this means minimal cross contamination per family. This is now instantly possible for families in emergencies or developing countries. Water wastage – SpaTap solves water wastage and access to water in outdoor situations as well as the labour of having to fetch water because it provides the maximum amount of wash from the minimum amount of water. Cross Contamination adults and children sharing water access points, be it pumps, water bowsers or hands in a bucket provide the perfect breeding ground for cross contamination. SpaTap is a personal washing device that can be carried anywhere and is dedicated to only 1 or 2 users. After an emergency sometimes pallet loads of bottled water is moved into to the disaster zone, in this instance SpaTap can utilise the availability of said bottles for immediate hygiene or cleaning purposes. SpaTap fits 99% of bottles for example A 2.25 litre bottle of water dispenses a shower that lasts 21 minutes or over 100 hand washes. 15-litre bottle of water will dispense over 2 hours and 36 minutes or over 1000 handwashes. SpaTap fits big and small bottles made from, plastic, glass, metal or any other material. (red/blue SpaTap.) A tap for handwashing outside the latrine, a tap for tooth brushing, a shower for personal hygiene. A tap that lasts a lifetime and is made from the highest quality silicone and a tap that saves water. SpaTap provides instant access in places where water is needed by either hanging it or holding it. It provides measurable, effective water dispensing. SpaTap is a low-cost solution that can be installed into a multitude of places, for example, outside latrines, in the kitchen, on a tent pole, in a hut, in a vehicle, in a hospital, anywhere. A way of giving ownership to people is for each family to have one or two taps per person, minimising cross contamination. SpaTap Straps can be made locally using local handicrafts and also be used as an effective means of financing the SpaTap by way of making sales of straps. The strap can be made anywhere using local handicrafts. The HIF Handwashing Problem Report usage WASH in Emergencies Problem Exploration Report includes the SpaTap 2.3.2 within “2.3 Emerging Technologies for Handwashing,”section. 2.2.1 Oxfam Buckets – The 14 litres of water held by the bucket are wasted when the tap turns on as there is only one flow rate. It is easily broken, difficult to carry by a small child. SpaTap can provide 1000 hand washes with 15 litres of water when in water saving mode or a shower that last 2 hours and 36 minutes. The image shown in the HIF report shows a great deal of water wastage. The Oxfam bucket is not for personal use. Whereas a SpaTap is a personal Tap for life. Whilst the tippy tap goes some way towards water saving efficiency, it by no means excels at 50ml per hand wash. The SpaTap can clean hands with even smaller amounts of water (20ml-25ml) if water scarcity is an issue. The tippy taps need to be placed in situ and cannot be easily moved without effort, they are mechanical by nature and therefore are prone to breakage. SpaTap in contrast, is virtually unbreakable and can be hung either inside a dwelling or outside. Soap bars are commonly “lost” with a tippy tap whereas the SpaTap has the ability to fix a soap bar in place, the movability of the SpaTap means that it can be positioned anywhere, away from puddles where feet are likely to get wet. The SpaTap does not need to be shared and can be operated with one hand. tippy taps are commonly only used after the latrine as they were not positioned near houses. SpaTap can be placed anywhere, conveniently. Theft of soap bars is diminished as the soap bar is no longer shared or in a public setting where the likelihood of theft has a greater chance of occurring. Oxfam’s study found that they were exclusively used after defecation but not before eating, because they were located near latrines and locals did not want the inconvenience of constantly moving to wash hands. SpaTap can be taken anywhere or installed wherever it is most convenient, in a communal setting or in a private residence. Benefits of the BPHWC that have similarities to the SpaTap operation are its ability to use without assistance, the nozzle felt like using a tap, as with SpaTap, however under 5’s and the disabled had a hard time opening the nozzle. SpaTap is easy to use by under 5’s and disabled people due to its squeeze release mechanism. Oxfam recommend BPHWC was UV stable, SpaTap already is UV stable and can withstand the rigours of the harsh Australian Outback and has survived over 50 4WD vehicles driving over it one at a time. Cross contamination is reduced with own your own tap as SpaTap has demonstrated. Usage was low at the end of the study, cited reason was an inability to hang the bag, in contrast, SpaTap can be hung anywhere, The bag was felt to be to small 10 litres, SpaTap has been fitted to bottles of up to 15 litres or more. The bag had a bad smell if left In the Sun, SpaTap is smell neutral and UV stable. The bags only lasted 2.73 months whereas SpaTap will last a lifetime. Figure 4 shows a line of taps with normal brass faucets. Often these are stolen; SpaTap is a personal tap thus making it hard to steal. Communal taps were left on and wasted water. SpaTap turns itself off after one pump. Only when the bung is removed is there a free flow of water which is stopped by the replacement of the bung. The brass taps are known for their inefficient water dispensing and washing hands with one will waste significant amounts of water. The photo shows waste bottles discarded on the floor where the communal wash station is placed, these bottles could be reused for hygiene and handwashing. The ICRC “Tanks with Tap” (FIGURE 5) uses 50ml of water per hand wash, SpaTap uses less in water saving mode. These are for a communal use. SpaTap with a large bottle can be used communally or in private house. SpaTap immediately reduces cross contamination. The happy tap is a cumbersome piece of kit and appears to waste water. Children like the colourful effect of the Happy tap, SpaTap comes in a range of colours and can also have funny faces printed on it, as well as NGO logos. SpaTap has been proved commercially in the camping and outdoor sector and is regarded as a useful tool by campers, members of the Armed forces and sports people. SpaTap’s use within a wide range of markets and scenarios has meant thorough testing in a multitude of situations. The impact SpaTap has is enormous and life-changing for millions of people. Now every family and individual can be in control of their personal water needs either in their residence, be it temporary or permanent or even on the go. The water saved by using this device will reduce labour expelled by obtaining water because of its ability to maximise the amount of wash for the minimum amount of water. 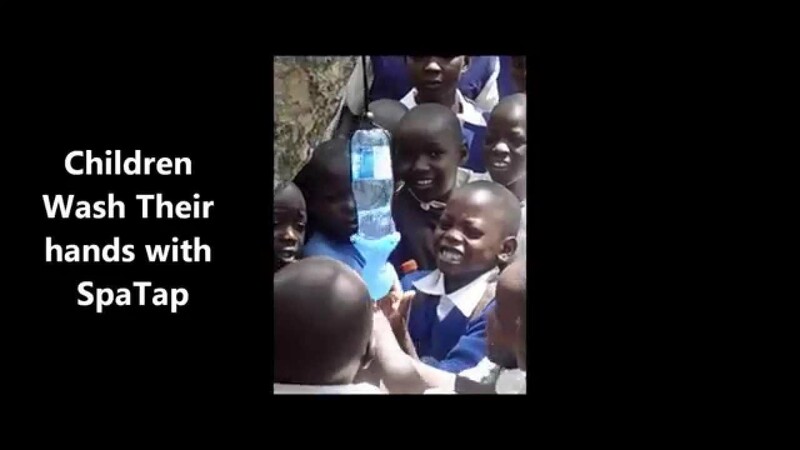 The SpaTap Kenyan schools project proved the reduction of labour collecting water every day. Thus allowed more time for learning. The resulting effect will be an immediate improvement of health and reduction in cross contamination and communicable disease. The positive use of upcycling and repurposing bottles is a major upside to the scourge of litter in the environment, now bottles and containers of all shapes and sizes will be sought out and regarded as useful materials that can be reused rather than discarded as a waste product. This has a tremendous impact for the health and vitality of the community as litter is reduced and hygiene is replaced. The economic impact of local people making and selling straps and SpaTaps will add to the commercial viability and long-term development of SpaTap usage. SpaTap becomes an economic income generator for people whilst promoting its usage with word of mouth. SpaTap has already been identified in the camping and outdoor market as an ambassador product and there is every expectation of the same word of mouth promotion amongst developing communities. In emergency situations usage of the many pallet loads of bottled water will be maximised with the addition of SpaTap and harm from communicable disease will be reduced as an immediate hygiene solution is now available in conjunction with the distributed bottles. Personal hygiene for the family with only the smallest amount of water in a dignified and safe manner is now possible. Field test in the camping and outdoor market have proved that only 1.5 litres of water can be used to wash 2 adults and 2 children from head to toes, this will now be possible for families in a post-disaster situation aiding survival and health. Cultural norms are also facilitated by the SpaTap as it can be used to clean the bottom after defecating as is common in developing world countries and emergencies where toilet paper is not available, but now without wasting water and still using only the left hand. Some religious groups also require the need to wash the hands 5 times a day, before prayer, the SpaTap has been noted as an effective way to maintain this practice without wasting valuable water supplies. Great health and hygiene amongst young people will be achieved as it is noted in a field test that children actually love washing their hands and brushing their teeth with SpaTap. The novelty factor of the device means that children literally queue up to wash their hands with a happy face, they don’t even need to be asked, every parents dream! This effect has been proved in developed countries as well as developing countries and it is a characteristic trait that can be found amongst children from all over the world. This association with fun and friendly handwashing can be further enhanced by the printing of funny faces of animals or cartoon characters on the SpaTap to again make the hand washing process a fun thing to do thus encouraging behaviour change in young people. 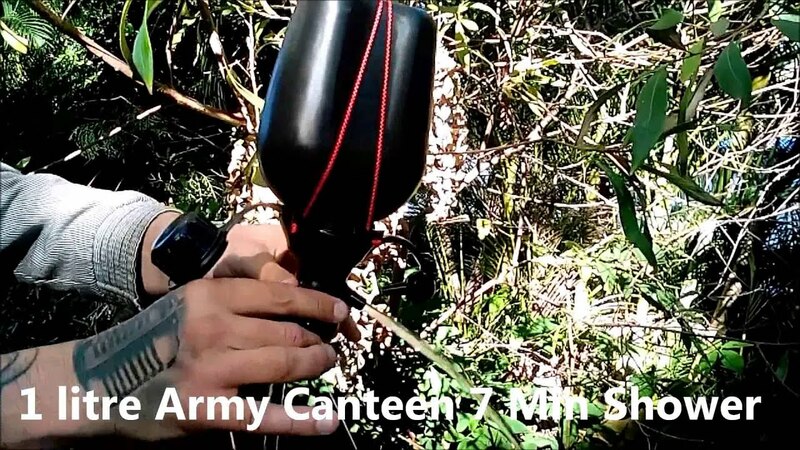 SpaTap’s intuitive and ergonomic design mean it will be immediately adopted as a powerful tool by adult users as it is by mature campers, defence force personnel and sports people in developed countries. The low cost and easy to distribute nature of the SpaTap means that current distribution chains can quickly and easily access even the remotest of communities. No longer will a family have to share the same water source as thirty other families they can have one tap for each member of the family, the kitchen, the latrine and kitchen. This movement forward will encourage, usage, ownership and continuing hygiene practises in the immediate future and for long-term behavioural change. SpaTap will instantly change the life of whoever comes in contact with it, immediately. This has already been proven !